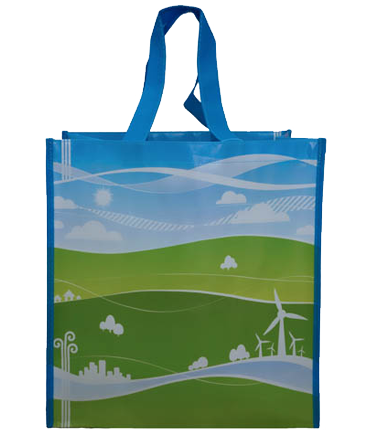 We offer a wide range of the best custom reusable bags at wholesale prices for grocery, shopping and promotional use. We’ve supplied thousands of companies just like yours with the best custom totes at competitive bulk pricing. Our bags exceed California certification standards that few can match. Whether you’re looking for a thousand bags or a hundred-thousand bags, let us help you get the bags you need. LAMINATED RECYCLED BAGSFull Color Art on all four sides. Comes in recycled material too! 1BagatatTime.com is a custom reusable bag company based in Venice, California, with tens of millions of bags produced in our nearly 15 year history. So we know what it takes to get you a great tote bag. Order after order, use after use, our bags remain attractive, affordable, and strong enough to stand up to the demands of daily life. Our shopping bags are specially designed and tested to last two years or more and replace at least 1000 disposable bags. They have been rigorously tested under California reusable bag law requirements for heavy metals and performance, so you are getting an exceptional quality bag. Though you maybe be based outside California, when buying from 1 Bag at a Time you gain these same tested benefits that you won’t find with others. Each order is custom made, from getting the right fabric to sewing it to your requested bag size, as it’s your unique order, not something we force to make work with inventory. A long lasting tote is not only better for the environment, it’s a better investment for your brand. Customers expect good design and good quality in a bag. A bag that meets consumer expectations will help you compete and promote your brand for marketing, promotions and brand development campaigns. We offer custom sizes and a wide variety of bags that can display your design or logo at cheap bulk pricing. 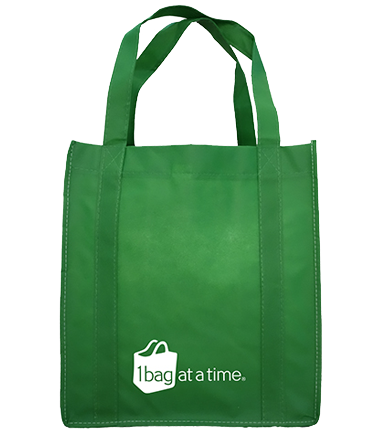 Our popular bags include reusable grocery or shopping bags, trade show bags, woven or non woven laminated bags, recycled reusable bags, wine bags, rip stop foldable bags, insulated grocery and cooler bags, retail bags, and more. We make buying bags easy. We have no set up fees. We offer one hour free art services on every order. Two sided printing is included for all orders. We’re happy to accommodate special requests. We help you become a smarter bag buyer with our Buyer’s Guide. Even if you have never ordered custom printed bags before, we make the order process easy. 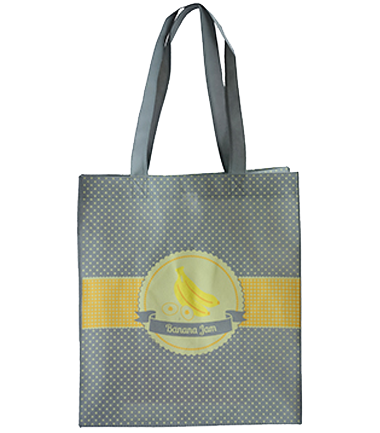 Lets us know the type of custom promotional tote bag you need. No matter what kind of bags you need for your group or business, we can help. 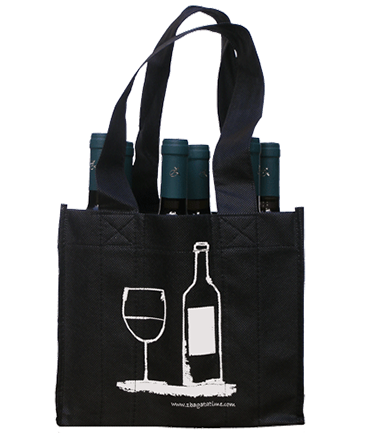 See the product pages for information on our most popular products, like full color laminated bags, recycled bags, insulated grocery bags , wine bags, and more. We have a large range of custom reusable bags in a variety of fabrics and sizes for every retail need. Just fill out our form and we’ll get back to you with a custom response. We’ll work with you until your order is right and deliver exactly the bag you need. LEARN about bags, our PRODUCTS, and CONTACT US today for a custom quote.